Last night I had to pleasure of seeing Raphael Saadiq perform at Stubb's. Mr. Saadiq came out like a pro, grabbing a guitar and jamming with his 7-piece band dressed like a dapper R&B star of yore. He started out in a full on suit with high-wasted pants, shirt and jacket but the jacket disappeared pretty quickly due to our lovely Austin heat. He was wearing his trademark Buddy Holly-style spectacles as well. Basically, Raphael Saadiq's look AND sound harken to the days of clasic R&B music when there was as much emphasis on the Blues as the Rhythm. The band was punchy, on point, in the pocket and ready to riff on all the classic Blues chord progressions. As far as the vocals go, they were smooth as butter. The set was mostly comprised of songs from Stone Rollin' remixed and jammed out to maximum capacity but my favorite moment was when the Lucy Pearl jam, Dance Tonight was played. I had almost completely forgotten about that Lucy Pearl album and how much I loved it. As far as the crowd goes, I'm not gonna lie to you dear reader, it was sparse. Generally, when I see a show at Stubb's is sold-out and packed to the gills, this was not the case last night and I have a few theories as to why. First of all, last night was packed with music all over the city (as usual). There was the free Blues on the Green series at Zilker Park, as well as a performance by Beirut at ACL Live. I feel like the factors that truly prevented Stubb's from being packed last night are two fold. Firstly, the tickets were about $37.50 with fees, which isn't a lot to pay especially considering there were 8 paid performers on stage but for Austin, that's a pretty steep ticket price. The other factor has to do with marketing and crowd appeal. Personally, I LOVE Raphael Saadiq and I feel like you should too but it's so hard to pin-down his target demographic. He plays R&B but it's nothing like modern-day R&B, he's not a crooner, he's bluesier. He doesn't use drum machines, he actual plays guitar and has a full band. So, he doesn't really fit on Urban radio stations. 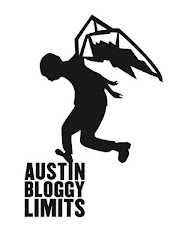 He could be featured on an adult-urban radio format but, for now, Austin radio doesn't carry that format. So, basically, if you want to hear new music from Raphael Saadiq on the radio you have to tune into KGSR and let's face it, no one wants to do that. Also, even on a AAA radio format like KGSR Raphael Saadiq's music isn't a perfect fit. Should his tunes really be bumpered up next to Bob Schneider or a "classic" Steve Miller Band song? Me thinks not. The long and short of it is this. Even though there weren't a lot of people at the show, those who were there had lots of energy and had lots of fun. The band was outstanding, with superb musicianship and Raphael himself is as handsome as he is talented, which is to say very.